The cyclone derives its power from a calm centre. So does a person (Brendan Kennelly). And perhaps too does Listowel, home to saints and scholars, nestled along the river Feale in North Kerry, setting for the annual Writers’ Week and the odd day at the races. It must be something in the water with Listowel the birthplace of a number of writers including the late John B Keane and a very lively Brendan Kennelly. 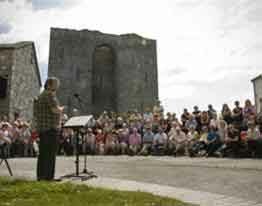 The festival has provided a forum for many local and not so local writers to share their love of words and engage their counterparts and audiences in all manner of readings, theatre and poetry, not forgetting the comic genius so many north Kerrymen are capable of. Over the years the festival has attracted Nobel Laureate and Booker Prize-winners including our own Seamus Heaney, John Banville, Anne Enright and Ted Hughes as well as award winning playwrights and poets Tom Murphy, Brian Friel, Roddy Doyle, Frank McGuinness, Hugh Leonard, Paul Durcan, Anthony and acclaimed novelists Colm Toibin, Jennifer Johnston, John McGahern, Frank McCourt, Joseph O’Connor, Edna O’Brien, a veritable roll call of the country’s literati. Grab yourself the golden opportunity to feast your ears through lectures, readings, workshops, book launches, seminars, interviews, theatre, literary and historical tours, art exhibitions, music and dance. Music for the soul indeed. 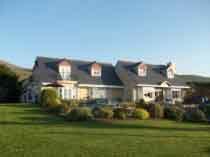 Hotels in the region include Aghadoe Heights Hotel, Parknasilla Resort and Killarney Park Hotel.